This course is half internally, half externally assessed. There are several alternative options that may not be done in class so there is the possibility to work on a topic by your self outside of the class and get assessed at a convenient time but it requires conscientious work. Prerequisites vary depending on the topic. The Probability topics require Algebra knowledge. Knowledge of the equations of straight-line graphs is important for the other options. 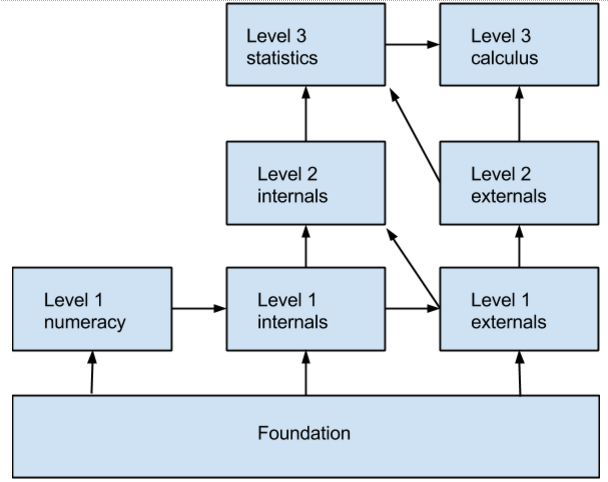 Level 1 AS 91037 Chance and Data would be really helpful and in level 2, AS 91264 Statistical inference, AS91267 Probability, AS91035 Multivariate data, AS91036 Bivariate data will help improve Level 3 grades. This adds several more tools for calculating more complex probability probabilities than you have so far. You learn to use four different models, commonly used in the world, of predicting probability. Be introduced to a powerful planning tool in common use in today’s world. Other possibilities for individual study are Experiments, Time series, Linear programming and Simultaneous equations.